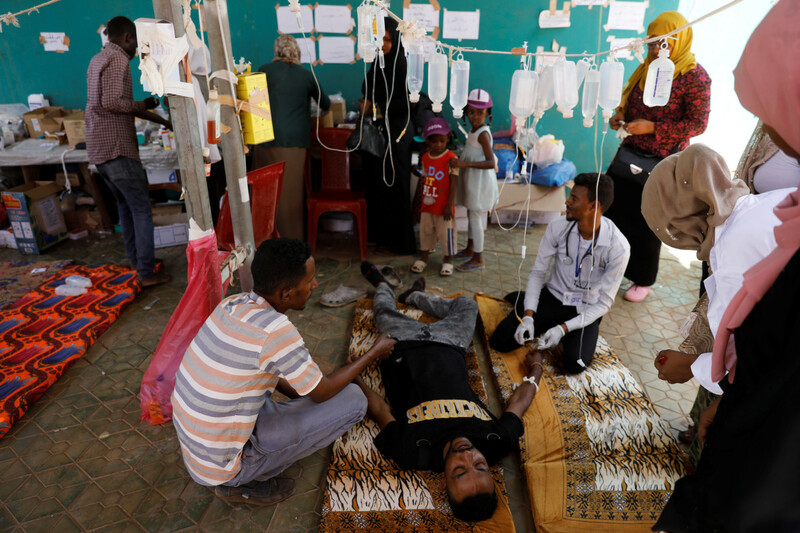 Khartoum: The protesters in Sudan wave national flags, chant “freedom” and bang plastic drums in the sweltering summer heat, while others man makeshift clinics or prepare meals for fellow demonstrators. For nearly four months, thousands of people protested across Sudan, calling for autocratic president Omar Al Bashir to step down. Their wish came true on April 11, when the military ended his 30-year rule and placed him under house arrest. But it wasn’t enough for the demonstrators, who fear an army dominated by Al Bashir appointees will cling to power or select one of its own to succeed him. So thousands of people continue to gather at a sit-in outside the military headquarters in Khartoum set up April 6. Al Awad, a recent medical school graduate, has been volunteering since last week, spending most of his time helping patients from the sit-in. “There is a system in place where those who have, give, and those who don’t have, take,” said Al Awad. Dafallah Awad, 34, said the country has been ruined by Al Bashir’s government. He has never been able to get a full-time job. “The regime has stolen all our rights,” he said. “We don’t want people to go back home,” said Razan Hassan Al Tayeb, 29, who was helping prepare a meal of lentils. “Outside the sit-in, it’s a different place but inside the sit-in, this is the place that we dream of - freedom, where you can speak and have a voice. You can say whatever you want. Whatever you desire to say and reach the people,” she said.